Do you want to regain your youthful look on your face? MCAN Health is here to help you with facelift in Turkey. Face lift, also referred to as rhytidectomy, is a cosmetic surgery procedure aiming to enhance the look of the face and neck by tightening and fixing sagging and wrinkled skin and skin muscles. Facelift is preferred by both women and men who want to have a more youthful appearance. Aging which affects all of us eventually is the main reason for losing the elasticity of the skin along with gravity, exposure to sunlight, smoking, environmental conditions, alcohol consumption, and stress. Losing the elasticity of the skin causes unwanted wrinkles and lines which are associated with aging and tiredness even though we may feel the opposite. The difference between how we look and how we feel can cause unhappiness with the look, low self-confidence and distress. Facelift surgery offers a great opportunity for people who want to look as young as they feel. If you want to have a complete rejuvenation on your face and look, you can combine facelift surgery with eyelid surgery. Face lift is among the most popular cosmetic surgeries for both women and men. Facelift abroad is preferred by an increasing number of people because of lower costs. Facelift in Turkey offers not only affordable costs but also a professional and high-quality service. 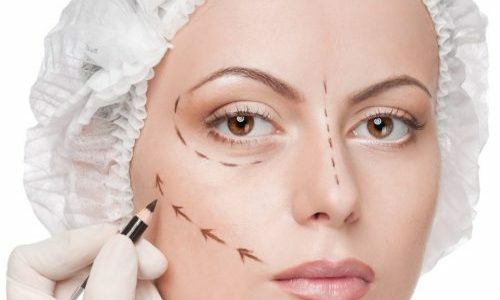 Facelift in Turkey is becoming more and more popular among people who prefer having facelift abroad. Why is MCAN Health the Best for Facelift (Rhytidectomy) in Turkey? MCAN Health’s facelift surgeons are highly talented and experienced. They have been working with women and men from different ethnic backgrounds. Thanks to their experience and talent, they provide our patients with the best results. • Facelift with the highest technology. • Facelift with no visible scars. • Facelift with affordable costs. • Facelift at JCI (Joint Commission International) accredited hospitals.